Mr ShaoDow, the independent UK Rapper has just released his latest track Ignant. At the age of 18, he travelled to China to learn Shaolin Kung Fu, an art that has influenced both his name and his lyrics. He is seen showing off his skill with Nunchaku - the weapons made famous by Martial Arts legend Bruce Lee - in ShaoDow's video for Ignant. 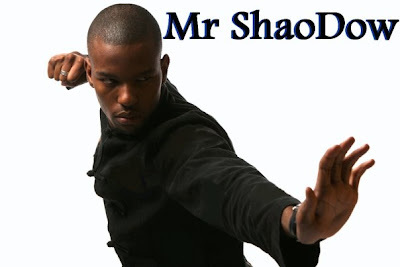 Mr ShaoDow's debut single in 2007 titled 'Look out there's a black man coming' gained him a lot of respect, from here, his supporters have continued to grow. He has already supported Akala, Chipmunk, Lethal Bizzle, Klashnekoff and he also featured on the track Get Stronger with Ghetts. Before the release of his next official single ShaoDow will be putting out a number of tracks and videos for people to enjoy. 'Ignant' is a high energy, fast paced song with an infectiously unique instrumental produced by UK beat maker Kid Kong. Mr ShaoDow is a good looking lad with a lot to say and he's not affraid to get out there himself and spread the words in which he is passionate about. Mr ShaoDow is currently travelling the UK selling his CDs and meeting his fans directly. He has now sold over 7,000 copies single handedly. LikeTheSound is proud to support the man who believes in what he stands for and claimed his influences include God, Life, Nature and People.